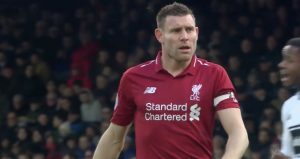 Liverpool bounced back from a midweek defeat against Atletico Madrid with a convincing win against Burnley. 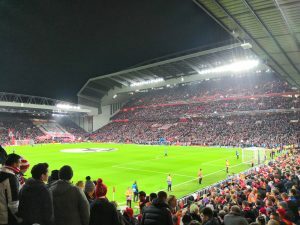 Goals from Steven Gerrard, Maxi Rodriguez and Ryan Babel and another subsequent clean sheet for Pepe Reina helped to see Liverpool record their first away win of 2010 and see off the relegation battlers, effectively seeing them into the Coca Cola Championship after a gutsy year in the top flight. 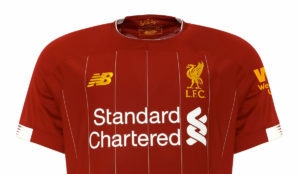 Changes to the side included Daniel Ayala coming in for Sotirios Kyrgiakos, N’Gog making way for Ryan Babel, the previously cup tied Maxi Rodriguez starting in the place of Yossi Benayoun and Alberto Aquilani getting a rare start in the Premier League in for Lucas. 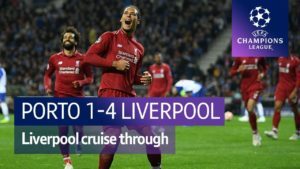 A long journey to and from Madrid for the Europa League game looked to have played havoc with Liverpool’s fatigue levels in the early stages, but in the end this turned out to be largely inneffective as Liverpool strolled a 4-0 victory at Turf Moor. After few exchanges in the first half, with Gerrard testing Brian Jensen and Babel seeing a shot wide. Burnley seen a penalty claim for handball refused on 35 minutes. Replays confirmed that Glen Johnson did not handle the ball but he controlled it using his chest. Burnley then looked to be making good use of Liverpool’s apparent fatigue from all of the travelling with a close range Jack Cork header saved by Pepe Reina. Ryan Babel had an effort saved at the left hand post with only Jensen to beat, but the angle looked too much for the Dutchman to take advantage of. The second half began with another penalty claim for Burnley, this time with Agger involved. Once again Phil Dowd correctly refused the spot kick. Dirk Kuyt was then replaced with Yossi Benayoun, with the industrious Dutchman limping over to the bench. Further pressure from Burnley was then cancelled out as Gerrard dispatched a wonderfully hit strike on 52 minutes after some brilliant football from Aquilani as Gerrard’s shot was deflected off Leon Cort. Shortly afterwards on 59 minutes, Gerrard smashed home a 25 yard screamer, with no help from a Burnley player, safely in to the bottom corner. On 74 minutes, Fletcher seen a strike deflect off the post for Burnleybut Maxi Rodriguez shortly followed with a comfortable finish, hammering the final nail in the Premier League cofin for Burnley. Shortly afterwards, Babel tucked away Liverpool’s fourth following a fantastic ball through from Lucas. Burnley: Jensen, Fox, Cort, Duff, Mears, Elliot, Alexander (Blake 63), Cork, Nugent (Thompson 77), Fletcher, Paterson (Eagles 71). 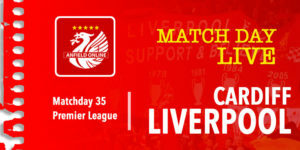 Liverpool: Reina, Agger (Lucas 78), Ayala, Carragher, Johnson, Babel, Mascherano, Aquilani, Rodriguez, Gerrard (Pacheco 82), Kuyt (Benayoun 48). We have to disagree about us handing the title to United. We beat United at home and lost to them away. So our victory against them already took 3 points away from them. Even if we do beat Chelsea then that will be 3 points apiece. Ye no i get that and looking at Chelseas result against Spurs and other lesser teams it’s not like we have completely handed the league over but the way things stand and with teams left to play if we win this one it pretty much means title 19 is in manc hands wether directly or in-directly . We go for the win of course. We come first and always have. Personally i don’t give a toss what Utd do. i’m only interested in us. all this worry about them winning 19 titles makes us look second rate and lacks class. that used to be what separated us from the scum. i would settle to win the europa league and lose to chelsea next week, as i don’t want the scum to win 4 in a row and title number 19. So what do we think lads with everything being the way it is and if we won our last two games we may yet sneak in the CL place but on the other hand also hand the title to the mank scum ?! So do we loose next weekend and make sure chelsea get the title or what ? 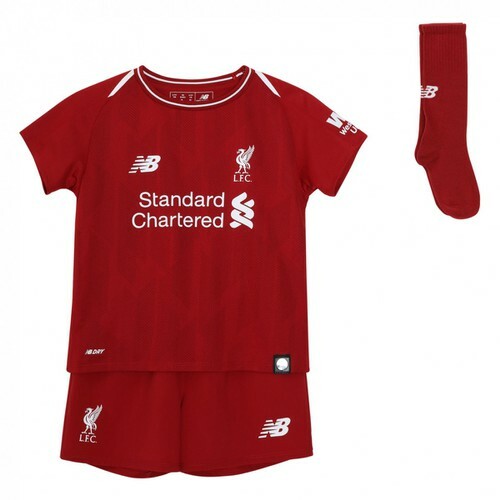 What are peoples thoughts on this …..
so a win away, aout time! well done young ayala, who had that been a man utd young center back making another 1st team game , we would have sky banging on about it, yet rafa plays him in a hard game, which we need to win and gets no praise for his selection of aquilani to come in a have a good game, yet has been writtern of by some joke fans and even this countries press,, rafa even drops lucus and stick gets no credit for his team he put out, it is now just stupied regards to rafa, he can not do anything without any pat on the back and when he does doe things wrong the media, sky and stupid fans are just waiting to jump all over him, if i was him id be thinking of leaving, its a disgrace how people have attacked the lfc manager this year. Youvv got to admit that he dose bring stuff like this on himself at times ! just look at the diff that Aquilani had yesterday ! I meen iv criticised Aquilani myself before but i now see that i was unfair on judging a man on what was a scrap of play ( he has quality) I think he will be good for us and we just need to include him more now. 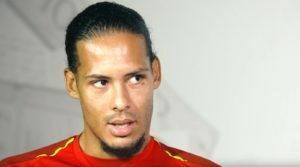 Rafa went with a more attack minded side and we won 4nil with more wing play with the likes of Maxi and yossi moving well, more roaming from Gerrarad and clinical passing from Aqualani , whereas he goes with two holding midfielders in the past and we lack creativity, becoming square and narrow in the middle. Im not bashin raffa though just pointing out how frustrating he can be lol. PS how do you think we should play the chelsea game now ??? !